POTOMAC, MD – Prior to heading to TPC Potomac for the 2018 Quicken Loans National (June 27 – July 1), stay up to date on important spectator information to make your experience more enjoyable. For the latest information on parking, gate times, ticket offers and fan information, please check QLNational.com for regular updates. Fans can also follow the Quicken Loans National on Twitter, Facebook and Instagram at @QLNational. General spectator parking for the tournament will be at the Rock Springs Parking Lot, located at 6720 Rockledge Drive in Bethesda, MD 20817. General parking is $20 (cash only) per day and can be purchased when parking at the Rock Springs Parking Lot. Complimentary shuttles will be offered from the Rock Springs Parking Lot to the tournament’s Main Entrance at TPC Potomac. The lot will also have designated parking for those with disabled parking placards/plates. The Rock Springs Parking Lot opens at scheduled gate hours during tournament week. For more information on parking, visit QLNational.com/parking. A limited number of on-site parking passes remain available for purchase in advance of the tournament. On-site parking must be purchased online prior to June 26th. On-site parking allows fans to skip the shuttle ride and walk directly into the tournament’s VIP Entrance. For more information on on-site parking, visit QLNational.com/parking. No on-site parking can be purchased at TPC Potomac during tournament week. When getting a ride from family or friends or taking Uber, taxi, and limos, all rideshare users must use the designated tournament rideshare lot for drop-off and pick-up. Use the address 10051 Oaklyn Drive, Potomac, MD 20854 when requesting a ride to the tournament; there is no drop-off or pick-up location at the main entrance of TPC Potomac. A walking path will direct fans from the rideshare drop-off to the tournament’s Main Entrance. Per PGA TOUR policy, all guests will be subject to inspection prior to entering the tournament. No bags larger than 6” x 6” x 6” will be allowed into the tournament. 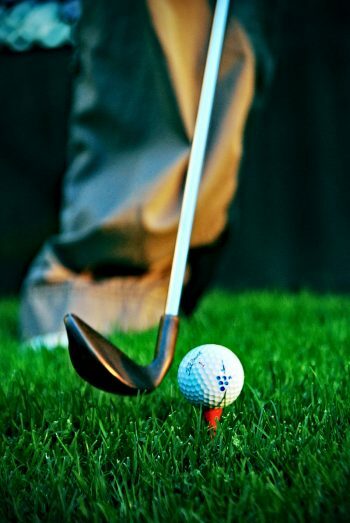 To avoid delays entering the tournament, guests are advised to familiarize themselves with the prohibited items list and leave any items not permitted in their vehicles or at home. For a detailed list of what is permitted, as well as the tournament bag and mobile device policies, please visit QLNational.com/spectator. First tee time: approx. 7:15 a.m.
First tee time: approx. 8 a.m.
First tee time: approx. 8:30 a.m. The tournament Will Call and Box Office will open at regularly scheduled gate times Wednesday, June 27 – Sunday, July 1. Complimentary tickets for youth ages 15 and younger (when accompanied by a ticketed adult) and active duty, reserve and retired military and National Guard members are available for pick up at the Box Office along with discounted tickets for students and veterans. Adult tickets remain available for purchase online at QLNational.com/tickets through July 1. It is recommended to purchase your tickets in advance online to save time and money using digital tickets. The Quicken Loans National invites 120 of the top players on the PGA TOUR to compete for their share of a $7.1 million purse. The Quicken Loans National is operated by TGR Live and raises funds and awareness for the TGR Foundation while paying tribute to our armed forces. For more than 20 years, TGR Live has exclusively organized and managed fundraising events supporting the TGR Foundation. It focuses solely on creating amazing experiences for the foundation’s clients at world-class events. TGR Live provides a variety of services including hospitality management, public relations and marketing, tournament operations, and sponsor sales at three PGA TOUR events and two signature events which benefit the foundation. While many TGR Live events are televised, TGR Live does not provide TV or video production. For more information, visit TGRLive.com or follow us on Facebook, Twitter and Instagram @TGRLiveEvents. Are you looking for a loan? Personal loans, mortgage loans, car loans, student loans, debt consolidation loans and other types of loans. Have you been denied a loan by a bank or a financial institution for any reason? This is an opportunity for you to achieve your dreams. Mr. Michael Nordmann a private lender offers guaranteed loans to businesses and individuals at an affordable interest rate of 3%.